He is feared dead after French authorities confirmed that he was on board a light aircraft that disappeared over the English Channel on Monday night, just north of the island of Guernsey. “Everyone is happy, except me,” said Nantes coach Vahid Halilhodzic last week as he accepted that his leading scorer, Emiliano Sala, was leaving the club in a record transfer to Premier League side Cardiff City. 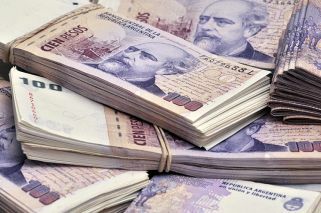 The Welsh club had agreed to pay a reported 17 million euros for the 1.87-metre-tall Argentine forward, hoping that his eye for goal would fire them to Premier League safety. 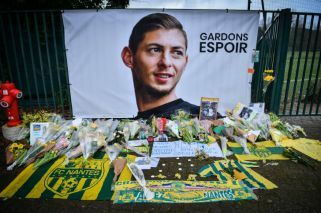 Now Sala, 28, is feared dead after French authorities confirmed that he was on board a light aircraft that disappeared over the English Channel on Monday night, just north of the island of Guernsey. He was on his way from Nantes to Wales, having signed a lucrative threeand-a-half-year contract in Cardiff on Saturday. “For me it feels special,” he said of becoming Cardiff’s record signing. Despite that fact, Sala hasn’t always had a reputation as a marksman, but his modest scoring returns up until now were also related to the way he played: unselfish and always looking to see if someone was in a better position to shoot. In many ways, he was the ideal teammate who used his height and strength as a target man to bring others into the game. An imposing physical presence but also adept with his feet, Sala left Ligue 1 having scored 12 goals this season, a tally currently bettered only by Paris SaintGermain’s superstar trio of Neymar, Kylian Mbappe and Edinson Cavani, as well as Nicolas Pepe of Lille. Born in the province of Santa Fe, Sala developed as a player at Proyecto Crecer, an academy based in the town of San Francisco, four hours north of the capital Buenos Aires. The academy has a partnership with Bordeaux, and Sala is one of a handful of players to have gone from there to the French side. “People see the way he fights for every ball. That encourages his teammates to do the same. He is a good example for everyone,” said Claudio Ranieri, his coach at Nantes last season. Having finally put pen to paper on his move to Cardiff, Sala was back at Nantes’ Joneliere training base on Monday to collect his belongings and wave goodbye to his ex-teammates.